South Korean conglomerate CJ Group has opened a new round of its startup incubation program, dubbed Product Challenge 101, in partnership with the Ministry of SMEs and Startups and the Korea Institute of Startups & Entrepreneurship Development. Participants that had been in business for less than seven years in the beauty, living, fashion, food, health, outdoor, and kids businesses are invited to apply for the program until May. 2, CJ said Monday. 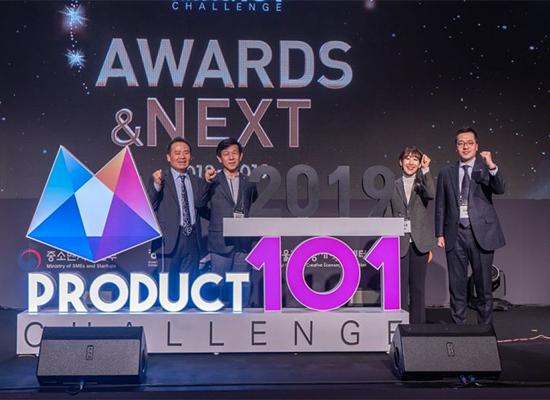 Product Challenge 101 is a startup competition modeled after CJ ENM’s idol star search competition series Produce 101 televised in Korea in 2016. CJ launched the startup incubation program for the first time last year to foster the growth of promising startups by providing with various training courses and marketing support. After choosing 200 participants for the new round, CJ is planning to offer distribution courses and review their products to pick 101 startups for marketing support to help their entry into new markets. Eleven final winners will be picked to enjoy more expanded benefits this time. They will be given chances to supply their products for product placement ads in television programs and sell their products at the group’s drug store CJ Olive Young outlets and lifestyle store Style On Air outlets, as well as via e-commerce platforms like CJ Olive Young’s online shopping site. The winners from the first season saw their revenue more than double on year on average as of February this year with 1.5 billion won ($1.3 million) in exports in total. They also drew combined investments worth 3.7 billion won. Their products have hit the shelves of CJ Olive Young outlets and have been promoted through a TV entertainment program distributed by Olive.